Dr. Joseph Prezzato completed his residency at St. John Providence Hospital and Medical Center and was recently recognized with the 2010 Joseph Watts Award for Outstanding Clinical Performance and Compassion in the field OB/GYN. Dr. Prezzato was awarded the 2011 and 2012 CREOG teaching award for his ... Read More dedication to the OB/GYN residency program. Dr. Prezzato strives to treat all patients like members of his family. Dr. Prezzato provides preventative women's care, pregnancy care and menopause management, including hormone replacement therapy. 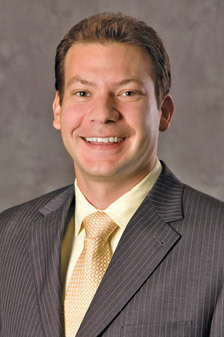 Dr. Prezzato also treats patients with complex infertility issues. He offers minimally-invasive robotic hysterectomy and myomectomy surgical options for a quicker recovery. Other surgical options include: advanced laparoscopic, and hysterscopic surgery. Dr. Prezzato's brand new state of the art facility offers patients the options of having minor surgical procedures performed in the office. He offers convenient same day and next day appointments for his patients' convenience.